Rehoboth Beach Delaware Condos & Townhomes. There are currently 86 Rehoboth Beach Delaware Condos Townhomes for sale. 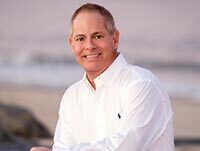 We are your Rehoboth Beach Delaware real estate specialist offering ALL Condo & Townhome sales Rehoboth Beach Delaware Real Estate For Sale. Behold, a beautiful 2 bedroom, 2 bathroom fully renovated condo with 1340 square feet of living space and spectacular views of the Atlantic Ocean and Beach in every room at the Henlopen Condominiums. Unit 304 features all the upgrades, spectacular kitchen, luxury baths, heated ceramic tile floors throughout, a large living room, dining room, three balconies with true ocean views, master bedroom with bath on suite, and a large storage room with full size washer and dryer units. The renovation was completed in 2013 and included a new multi-zoned HVAC system. It is being sold furnished and turnkey with only artwork and personal items being excluded. 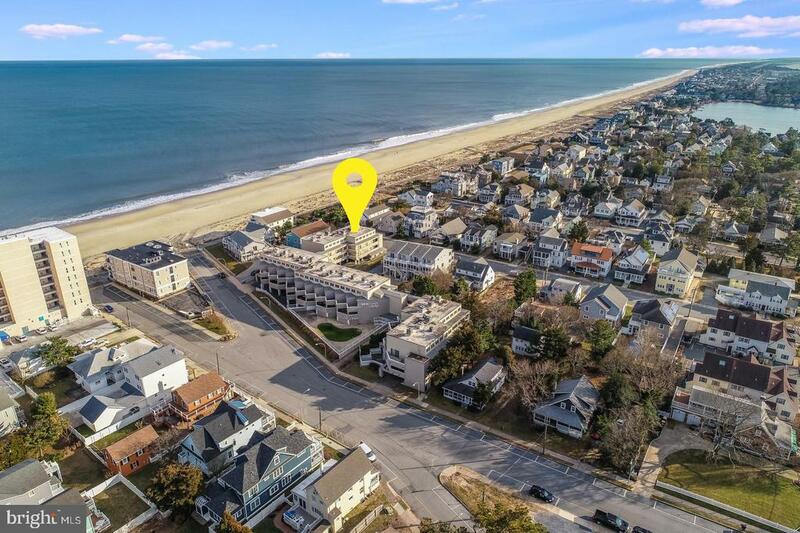 The building offers security-controlled access, indoor parking, secured entrance to the beach with outdoor showers, elevators, a beautiful rooftop sundeck pool offering spectacular views of the ocean and the Delaware coastline. This unit also has a potential rental income of over$50,000 per year. Call for more information an appointment today! Ocean Block Town-home with Ocean Views from the decks! This three story town home has multiple decks, a fireplace, and a screened porch. Plenty of space to enjoy with 2,000+/- sq. ft. of living space. Owners also enjoy having a shared storage area for all your beach wares. Put this one on your list to see today! 9th floor with spectacular views in this 2 bedroom, 2 full bath condominium in spectacular North Shores, Rehoboth Beach. This recently renovated unit boasts incredible ocean views from the large front balcony as well as a wondeful view of the canal from the master bedroom. The 9th floor offers unobstructed views of this beautiful ocean fron setting. THe main level features spacious, open living space with separate dining area. The attractive and updated kitchen boass a pass-through to the family room and direct access to the dining area. The 2nd level includes a large master with full bath and 2nd bedroom with a full hall bath and extra linen closet. Owner also added laundry facilities on the main level for added coenience. Other notable features include newer Pella patio slider and casement windows, premium laminate flooring at the main level and ceramic tile floored kitchen. North Shores residents also enjoy phenomenal amenities including private beach, huge pool with a recently renovated pool house with baths, showers and changing area. Two tennis courts are on site and available for hourly rental as well. North Shores is a luxurious resort community where residents and guests enjoy all the best of summer including easy access to Gordons Pond State Park and just a mile from the north end of the Rehoboth Beach boardwalk. This unit has a fantastic rental history (available upon request). Don't miss this rare opportunity to own your little slice of Delaware beach heaven! Just steps to the beach this contemporary condo offers luxury living at its best. Relax and enjoy beautiful ocean views and the sound of the waves from the living room and multiple porches, ideal for entertaining. The open floor plan features a gourmet kitchen with sleek stainless-steel appliances, quartz counter tops and a solid wood breakfast bar which opens the kitchen to the living area. The dining room adjacent to the kitchen offers additional entertaining and open space or could be coerted to a third bedroom. Unwind in your spacious master suite with private deck and en-suite bath. The guest bedroom connects to a second full bath and features a built-in back-lit head board and nightstands. Other features include an abundance of natural light, eco-friendly and durable cork flooring, assigned parking, building elevator and more. Must see! Gorgeous 2 bedroom, 2 bath oceanfront condo in the exclusive building known as 21 Ocean Drive. Situated on the 7th floor this unit offers breathtaking views of the ocean and the North Shores marina. Relax on your spacious balcony and unwind while taking in the cool ocean breezes. The main floor of this well maintained unit boasts an open floor plan, living room, dining area, galley kitchen and pantry. The 2nd level features a large master suite with beautiful views of both the ocean & marina, plus a guest bedroom and updated full bath. Community amenities include an outdoor pool, tennis courts, marina and private beach. This condo is an excellent opportunity in a highly desired location! This upscale end unit in the Ponds Edge section of Canal Corkran is move in ready and has been freshly painted, has hardwood floors throughout, plantation shutters, Central Vacuum, impressive moldings and an upgraded kitchen that includes a wine cooler. NEW HVAC, Water Heater and Washer/Dryer plus extra windows help set this apart from other listings. 5BRs include 2 Master Bedrooms (or 4BR and Den). The home is filled with light and has an open floor plan with Living, Dining and Kitchen opening to a large deck with Views of Futcher Pond. The fireplace adds winter charm and all of this is in an exclusive community with pool, walking distance to town. Don't miss out on this special home. Everything that downtown Rehoboth Beach has to offer is truly at your fingertips from this spacious 2 bedroom, 2 bath condo in The Wilmington. Located within 2 blocks from the beach and boardwalk this condo offers a location that is hard to beat! The Wilmington is a beautifully maintained building with elevator access, assigned private parking, swimming pool and more. The open floor plan makes family gathering and entertaining a breeze complete with a kitchen island and dining area open to the family room, balcony and screened porch. With a solid rental history, this property is a must see! Ocean-block, rarely-offered, 2-story condo at the peaceful north side of the building. Ocean views from the private deck & 2nd floor master bedroom. Extremely private outdoor entertaining area for friends and family gatherings. 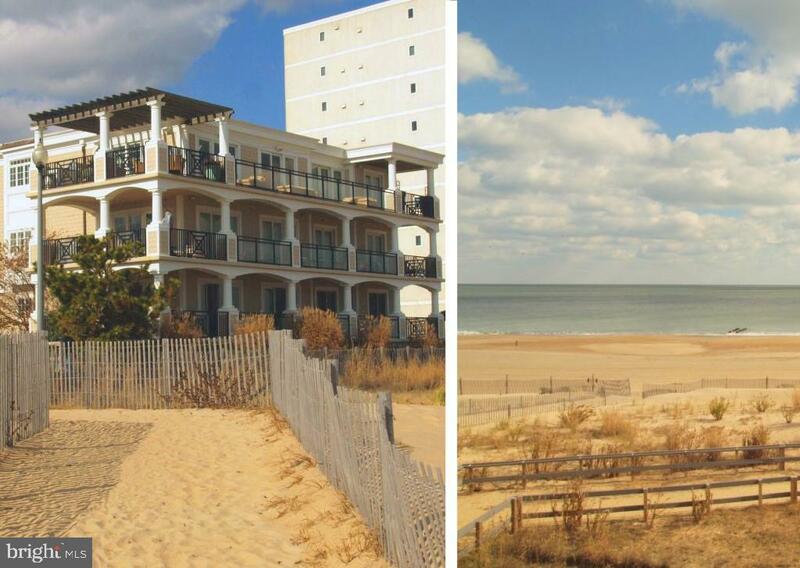 Just 105 steps to the beach & all outdoor amenities Rehoboth has to offer. Redesigned open floor plan makes socializing care-free! Upgraded kitchen & baths make this turnkey unit ready to enjoy. You may perhaps choose to spend a lazy afternoon lounging by the community pool. Centrally located in South Rehoboth. This prime location allows you to park 2 cars & walk or bike around town. Over $35K+ rental income potential. Front entertaining area could be coerted to a 3rd bedroom. Sold fully furnished to include stack washer & dryer. One of the most sought after units in Mariners Court. Idyllic Beach living at its best! Wondrous beach living on Wills Way! Tucked off Rehoboth Ave. and less than 1 mile to Rt. 1, this 3-level-living end townhome is pond-front with open acreage to side. Community has upper-echelon feel with sidewalks, lamp posts, picturesque ponds, ornamental trees and circular brick paver accent road, plus walking path and swimming pool. Delight in 5BRs/4~ bath townhome (actually it boasts 3 Master Suites!) with covered front entrance on side of building, complete with dramatic columns and chairs to admire nature. Hardwood foyer is open and wide with high ceilings. Big DD walk-in closet is perfect for storing beach chairs/umbrellas. ~ wall defines foyer yet gives view to sand-color triangle of main space, which can be configure into rooms to meet your lifestyle. Appreciate Floridian flair of terracotta, slate blue, bronze and brick red melded with bamboo leaves and breezy palm trees motif. Hardwoods graduate to carpeting and presently DR with cream wrought iron chandelier sits before window. Beyond is FR with angled gas FP with black granite surround and where big-screen TV resides. Circular colorful rug currently is central point of room, and couches and chairs fan out offering views through glass sliders to outside, where there~s adorable patio with mulched bed, wood bench and flawless looks to fountain and pond! Kitchen is open to FR and DR, making it feel even larger. Its mix of light cherry cabinets, Corian countertops, SS GE Profile Stovetop/Refrigerator/DW and ceramic tile floor create handsome, yet heart-of-the home ambiance. Bump-out countertop offers bar stool-seating, venue for snacks and chats! Other side of foyer is coenient PR and W & D, handy for beach-day laundry. Hall leads to 1st-floor Master Suite with walk-in closet and private bath. Relish charming 2nd level sitting room, ideal as game/reading/computer nook, and 2nd level deck that overlooks open space and trees. Catch some sun or catch up on reading! One side sits hall bath and 2nd floor Master Suite with huge BR, complete with retreat area, big walk-in closet, and adjoining private bath. Opposite wing has 2 secondary BRS with BR1 sporting bump-out for dresser/deck, while BR2 has roomy walk-in closet. 3rd level is its own private 3rd Master Suite! Sweeping BR with sitting area that looks to pond, DD walk-in closet, large enough for year-round wardrobes, and private bath! Indulge! Mins. to Tanger Outlets, Rehoboth Beach, shopping, restaurants and more! Cool living in Canal Coachran! Now Reduced 25K, get it before it is gone! WATERFRONT wide open layout town home with TWO master suites and a garage in the highly desirable community of Canal Corkran! Situated perfectly along the water's edge of Futcher's Pond allowing you to take in the beautiful views from your back patio and second floor sundeck balcony. The open concept main level features a large kitchen with granite countertops, stainless steel appliances, a spacious great room with fireplace and recessed lighting, dining room with a beautiful sun deck balcony off the back, and a master suite at the front. The entire third level of this home is a huge master suite with sitting area, walk in closet and a luxury bath with soaking tub and large tiled walk in shower. On the first level there are two bedrooms and a full bath plus access to the garage. It doesn't get any better than this! Plenty of living space both indoors and out and presents pristine views. This town home is very energy efficient, light and bright and is surrounded by the community green space and situated right on a natural pond. The community is in a location that's within walking distance to the ocean, boardwalk, shopping and dining plus the community offers a large outdoor pool! Seller is a licensed real estate agent in VA. Don't wait to see this meticulously maintained home priced to move. Property is sold furnished with only a few exclusions. You won't need much to start living your beach dream and with summer right around the corner - why wait? Partially renovated, turn-key 2 master bedroom unit with gorgeous direct ocean views. Balcony near ground floor provides access directly to the boardwalk/beach. Resident managers, spacious pool & deck & elevator are just some of the building amenities. The condo fees include water, sewer & WiFi. Makes for an excellent iestment property or second home. 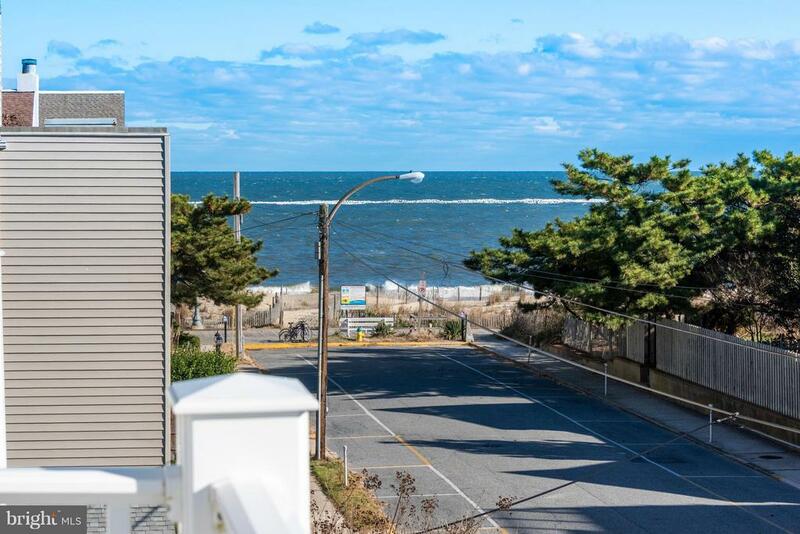 Only 15 houses separate this three bedroom, two level condo from Rehoboth's boardwalk and beach. Enter this condo from the second floor and you have two bedrooms, one full bath, kitchen, dining and living areas. Proceed up a spiral staircase to the master bedroom and master bathroom with an open 8 X 16 deck with tranquil views of the surrounding area. The second block of Maryland Avenue is a fantastic location for an evening stroll to dinner, a daytime visit to the beach or a bike ride through town. The coenience of two off street parking spots allows for easy access. Outside shower available to wash the sand away. Proven rental history for iestment property buyers or perfect as a second home. Shows like a model! Gorgeous carriage home overlooking the wetlands and golf course! Relax and enjoy the views from your 2nd floor screened porch or 3rd floor deck! Original owners and upgrades galore! Used as a 2nd home and lovingly maintained. Boasting hardwood throughout all common areas, eat-in kitchen with upgraded cabinets and appliances, separate dining room, gas fireplace, 9 and 10 foot ceilings, elevator shaft, extra insulation, 2 car garage, community pool and much more! Take your pick of the 1st, 2nd or 3rd floor Master. Technically a "condo" where roof, lawn etc are covered by HOA. This is a MUST SEE! Stunning carriage home overlooking the wetlands in the desirable community, The Seasons in Rehoboth Beach. From the moment you enter the foyer you will appreciate the beauty and sophistication this home offers with 12' ceilings, gleaming hardwood floors and crown molding. The spacious main level offers an open floor plan that features a fireplace in the living room with a flat screen TV and surround sound system. The elegant formal dining room includes wainscotting, coffered ceilings and a beautiful Austrian crystal chandelier. Entertain guests in the gourmet kitchen that features 42 inch maple cabinets, granite counter tops, a double oven and includes a dry bar with wine fridge. The iiting screened porch offer views of the wetlands and is perfect for bird watching. A special addition to this home is the coenient elevator to the second level of the home featuring a total of 4 bedrooms: two master suites, two additional bedrooms one currently being used as office/den and a flex space used as an additional office. The guest bathroom was upgraded to a spa bathroom with jetted tub. Completing the second floor is a balcony/deck overlooking Wolf Pit Creek with remote controlled awning and the laundry room with custom cabinetry. For extra storage there is a 4 foot high encapsulated crawl space accessed from a closet. The Seasons is just minutes to downtown Rehoboth Beach, the boardwalk, shopping and dining. Paradise at the Seasons! This stunning carriage home overlooking the beautiful community pond is a must see. With sprawling entertainment spaces indoors and out this immaculate home is the perfect setting to unwind and relax at the beach. The divine first level master suite presents a dual vanity, walk in tiled shower, large walk in closet, and best of all lovely water views bedside. Enjoy gatherings in the generously-sized living/dining area graced by a corner fireplace or take the party outside on the screened porch and paver patio. Granite countertops, large center island, stainless steel appliances, upgraded cabinets and breakfast bar round out the features in your gourmet kitchen. There~s plenty of room for the family and guests on the second level with two ensuites, a huge bedroom and loft. Pride of ownership is evident in every inch of this home. The glistening hardwood flooring, high ceilings, dazzling lighting fixtures and superior layout make this home a stand out! The Seasons is only 3 miles to the beach and boardwalk and offers a community pool, sidewalks and lawn care. 2 bedroom, 1 bath condo in Rehoboth's building. Sundeck, pool, underground key secured parking, library, and laundry. Steps to boardwalk and beach! Quarterly dues include a/c, heat, and hot water. Long term reserve and wifi. New Pella windows and doors being installed in November 2018- paid in full. Non-smoking building. Condo fees-$2170 quarter. Enjoy swimming in your salt water pool & hanging out at your rarely available 2BR, 2.5BA townhome just steps to Rehoboth Avenue & 3 blocks to Rehoboth's boardwalk & beach.. Entertain on your private patio overlooking the lush garden. Updated baths. Furnished turn-key, move-in-ready. Maintenance free, exceptional rental potential sleeps 8 Great rental iestment ! Reduced 25k!! This exquisite town home is eeloped with elegance and comfort. Be wowed by showstopper views from your screened porch, living & dining rooms & decks. Inside, crisp white kitchen cabinetry, bold granite countertops, golden hardwood floors, & high ceilings, create a style both timeless and classic. This house screams designer and will reflect the personality & taste of those accustomed to the best in quality design, finishes & lifestyle. This open layout with a gourmet kitchen, breakfast nook, great room & dining room is graced with a gas fireplace. On the second level you'll have plenty of room for guests with two bright & cheerful rooms with balconies and a lovely master suite. There's more- retreat to the third floor master suite featuring a lounging zone, reading nook, bedroom & luxury bath. Surrounded by nature & only 3 miles to the beach & boardwalk The Seasons offers a pool, sidewalks & lawn care. Spacious townhome East of Rt.1 in Rehoboth Beach featuring western sunsets off back of home & decks. 4 bedrooms, 3 1/2 baths, several living areas, separate garage shower area to remove sand before entering the home. Master suite offers large master bathroom, 2 closets and private covered deck to relax and enjoy the crisp beach air. Open kitchen with upgraded cabinetry, granite, stainless steel appliances, fireplace and deck. Wonderful Rehoboth Beach location approximately 2 miles to beach and boardwalk - never crossing Rt.1 and along bike/walking path which runs between Rehoboth and Lewes, The Grande also offers 2 pools, Tennis courts, Basketball courts, community center, fitness center and tot lot/playground. Tranquility at the beach is yours with this 3-story end unit town home in amenity-rich Sawgrass South. The covered entryway welcomes you into the foyer with a private elevator, and leads you to a first floor suite with bedroom, full bath and flex room opening to a covered patio. The main living area has gleaming hardwood flooring, flow-through plan with great room featuring a fireplace and expansive windows that let in natural light, with sliders to a screened porch for outdoor living. The granite kitchen has stainless appliances, a breakfast bar and a dining area with adjacent private balcony. Ascend to the upper level owner's suite with tray ceiling, sitting area and spa bath with both a soaking tub and shower. Two additional bedrooms and a full bath complete the floor. Details such as upgraded pendant lighting in the kitchen, custom dining area chandeliers, wide crown molding and plantation blinds make this an exceptional home. This gated community is minutes from Lewes and Rehoboth Beaches and enjoys two community centers with pools and fitness rooms. The hidden Gem of Rehoboth Beach ,is " Spring Lake " , with room for friends and family in this 4 bedroom , 3 1/2 bath , pond front condo , a patio screen will reflect the hot summer sun and allow you to enjoy the wonderful sunsets . Home is walking distance to Town and the Beach , new kitchen appliances , floors on first floor , decorations and newly painted , furnished w/ some EXCEPTIONS . Three bedroom, 3-1/2 bath town home. Popular Bonaire model in excellent condition located in Canal Pointe, an amenity-rich community east of Route 1. Easy biking distance to downtown Rehoboth Beach and other beach areas. Close to shopping but away from the noise, hustle and bustle of Route 1 and downtown. Two large swimming pools, tennis courts, playground, and clubhouse with exercise room. First floor has entry level bedroom, full bath, laundry and game room. Second level has living room, dining area, kitchen/family room combination with deck overlooking a pond with an expansive view of the sunset. Third level has two bedrooms with ensuite full bathrooms. Kitchen has tile floors, upgraded cabinets and quartz countertops. Master bedroom has vaulted ceiling, large bathroom with separate soaking tub and shower, and bonus room for an office or quiet sitting area. Shower in garage for washing off sand after a day at the beach. Dual zone heating and air conditioning for maximum comfort control. Located half a block from the head of the Breakwater bicycle trail; a one of a kind natural trail to the quaint town of Lewes and Cape Henlopen State Park. Stress free beach living. Condo Association takes care of landscaping and most exterior maintenance.